Part 1 covered what mead is and a little bit about the history. Time to find out some of the details. Had to ask this one as a wine drinker. 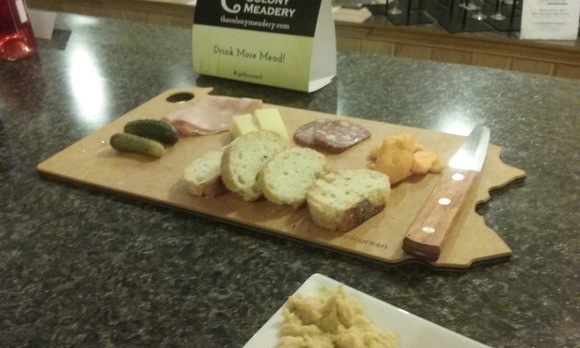 Part 2 included going into detail about what mead actually is. Plus, the effect the internet has on different varieties being produced. During our break in the interview, Dave gave me a few mental images about movies and seeing mead in them. Dave surprised me with the answer. Get ready to be caught off guard! Dave: It's funny you mentioned the style. We have all been using terminology associated with mead our entire, adult life. You spoke of the Druids earlier. They gave mead to young, married couples. They would go off together for a full cycle of the moon. They (Druids) thought honey had a lot to do with fertility. The couple would be given this for their celebration or their "honeymoon". That is where the term comes from. They figured out the honey has nothing to do with fertility. You are getting the couple drunk for a month. Curious about the actual "tastings" When you do a wine tasting, they tell you to cleanse your palette in between. Is mead the same way? Dave: It's never a bad thing to rinse your palette in between different anything, even courses of food. A glass of water is never a bad thing. Even when we are doing a flagship tasting (5 most popular meads), you have quite the array even through 5 different meads. Having a sip of water is a great way to take in the subtleties. Subtleties is a great word, because most of these meads will not overpower you in any way. Being an author and entire staff of the magazine, curious how you come up the different names? Dave: Greg and Mike came up with most of the names. I have helped with a few. It is really a group effort. It's also trying to be fun with it. Example: the name of one (mango) is Let the Man Go Through. It is actually the name of an old song. Some names are easy, ginger (Fred (Astaire) and Ginger (Rogers) / look it up). A little advanced warning here. Mainly because there are people, like myself, who are extreme lightweights with alcohol. There are some with higher alcohol content. Dave: There is and there isn't. Our content ranges from 5.5 - 18%. It is the same with any fermented beverage. Hand crafted beverages are not the same as mass produced. We do not use fillers / preservatives to cut back on the alcohol content. Ending this in the usual way. Is there anything else you would like to add? Dave: We have a small curated menu here (sandwiches, cheese boards, soup of the day, local baked goods, coffee). We always have 8 meads on tap and bottles. We pride ourselves on being able to help anyone who walks through the door. Bringing in a group is a great idea. Sunday we have a game day sponsored by Portal Games in Bethlehem. Again, a serious thank you to Dave McAdoo for taking time for the interview. I did learn a lot about mead and found it very interesting. Hopefully, you did also. If you are in the Lehigh Valley and are looking for a truly different and enjoyable experience, STOP BY!!!! Check out their Facebook page and website for events, new products, etc. 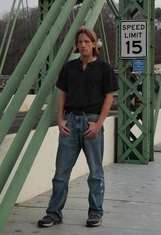 - Michael Phoenix is a self-published author. On May 18, 2013 he launched the first edition of this magazine. He also the entire staff.